The Pansar Augmented is a Swedish smart watch that looks like a standard three-handed wristwatch. However, with the tap of a button, you can view multiple data points including weather, notifications, and even sales data from your CRM. Pansar is a Swedish watch company that uses Swiss movements and hand assembled components to add a dash of luxury to your standard workhorse watch. The watch is fully funded on Kickstarter. It costs $645 for early birds. The watch mostly displays the time but when the data system is activated the hands move to show any data you’d like. The world is full of interesting data: be it the quest for information on the perfect wave, keeping track on your stock value, or the number of followers you’ve acquired since yesterday. Pansar Augmented collects the data that matters to you and streams it conveniently to the hands of your watch. 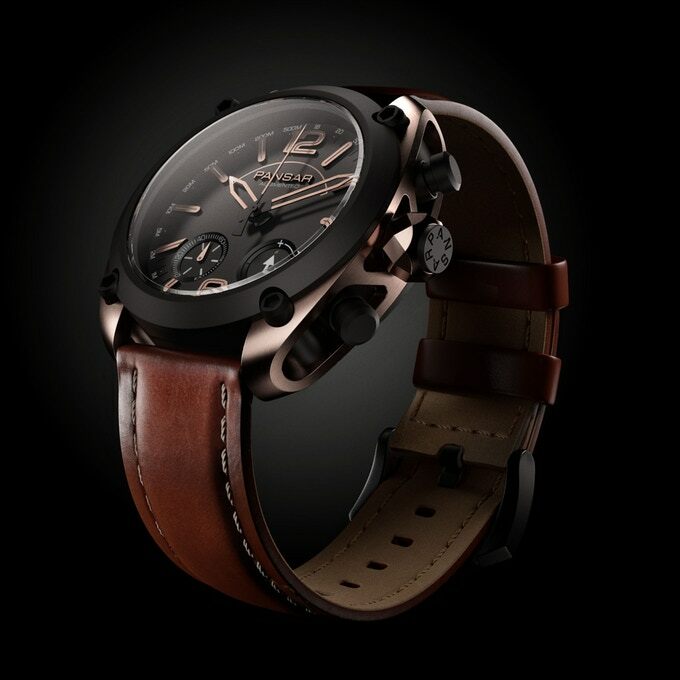 This is made possible because of the unique dual directional Swiss movement combined with the Pansar Augmented app. The watch comes in three models: the Ocean Edition that shows “relevant data on weather, wind, and swell amongst others,” the Accelerator Edition that shows website visits or Instagram views, and the Quantifier Edition for the “analytical mind” that wants to track sales numbers. It’s definitely a clever twist on the traditional smart watch vision and, thanks to some nice styling, these could be some nice pieces for folks who don’t want the distractions of a normal Apple Watch or Android Wear device.